VIDEO - ISL-5: FC Goa 0-0 Jamshedpur FC - Match Analysis! Home / Indian Football / Indian Super League / VIDEO – ISL-5: FC Goa 0-0 Jamshedpur FC – Match Analysis! 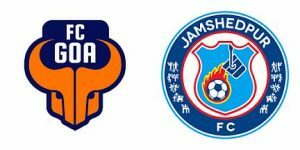 VIDEO – ISL-5: FC Goa 0-0 Jamshedpur FC – Match Analysis! A clash between two free scoring sides in the Indian Super League was predicted to be a high scoring affair. On the contrary, Jamshedpur FC and FC Goa played out a goalless draw at the Jawaharlal Nehru Stadium, Goa. With more than just three points on the line in this one, the match did not live up to its billing with both sides failing to find their stride in the final third. Previous Mohun Bagan look to bounce back after Kolkata derby loss against Gokulam Kerala FC! Next Goa Second Division: Chandan strikes double in Saligao Sporting win!